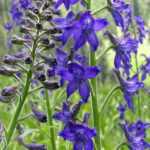 Delphinium barbeyi is a long-lived, perennial herb up to 5 feet (1.5 m) tall. 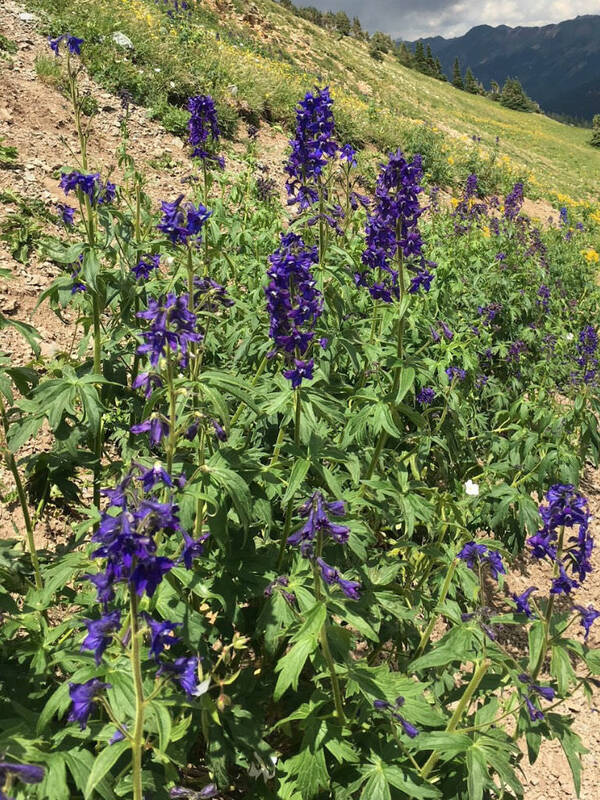 The leaves line the stem but disappear from the lowest part of the stem by the time the plant blooms. The leaves are somewhat rounded in outline and are divided into several lobes. The tall inflorescence bears up to 50 flowers at a time, but a plant may produce hundreds of flowers. Each is borne on a pedicel up to 2.4 inches (6 cm) long. 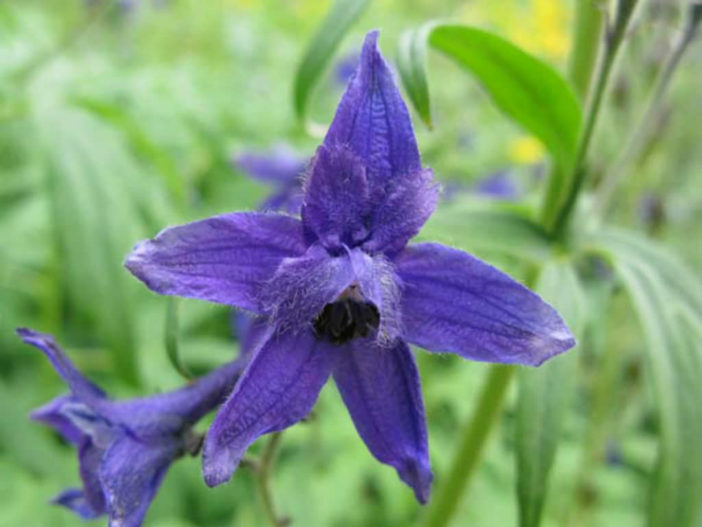 The flower has 5 dark purple-blue sepals with whitish or yellowish hairs inside. The fruit is a follicle up to 0.9 inch (2.2 cm) long. USDA hardiness zone 5b to 7b: from −15 °F (−26.1 °C) to 10 °F (−12.2 °C). 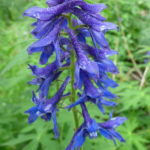 Grow Delphiniums in a sunny area with soil that is consistently moist. Don’t let them dry out. Mulch helps retain moisture and keeps roots cool. 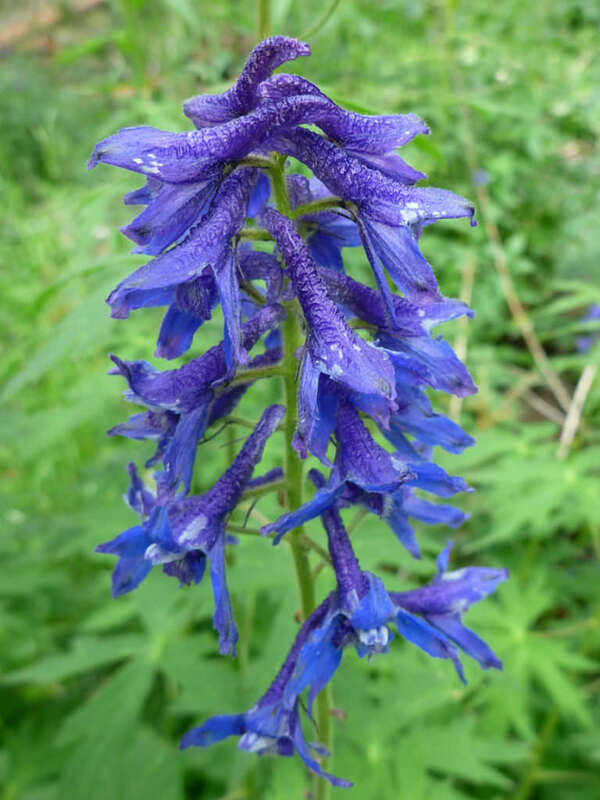 Performance of this specimen is enhanced when growing Delphinium plants in neutral to slightly alkaline soil pH. Soil should be well-draining. 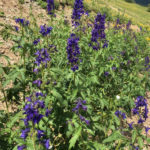 Care of Delphinium should include regular fertilization in spring when the plant begins to grow, and during the flowering period. Work in well-composted organic material such as rotted cow manure, or use a basic 10-10-10 granular fertilizer. Yellowing foliage or stunted growth often indicates the plant needs more fertilizer. 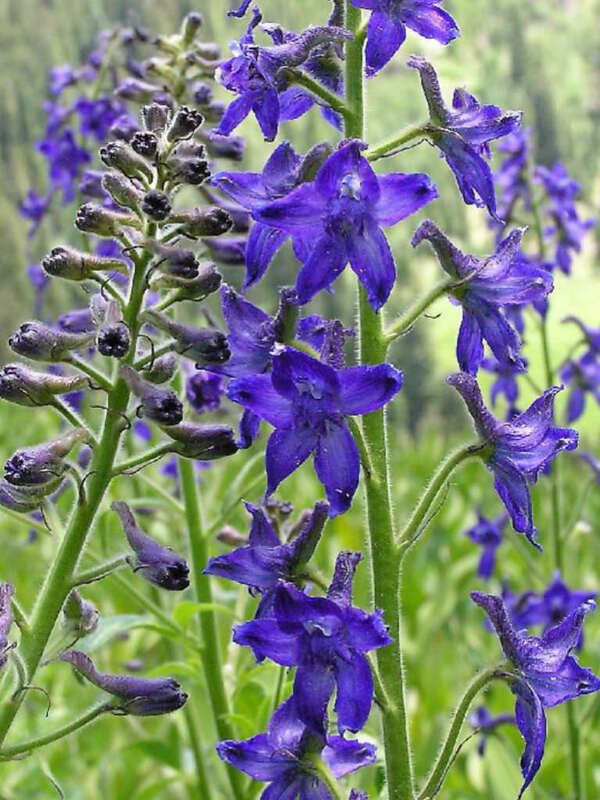 Native to the interior western United States, where it occurs in the states of Arizona, Colorado, New Mexico, Utah and Wyoming.